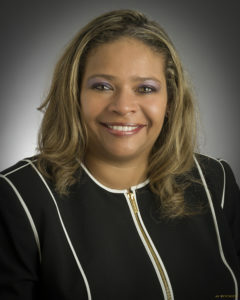 Seane Baylor serves as Vice President of Trust Administration at The Private Trust Company, N.A. (“PTC”). In this role, Seane is responsible for developing the overarching client service agenda, strategies and underlying capabilities that will drive both behavioral and attitudinal loyalty among all clients and advisors. Utilizing analytics and feedback to monitor the department, Seane implements plans to manage all aspects of Trust Administration service levels including staffing, client retention and satisfaction, and execute the relationship management and discretionary fiduciary responsibilities by providing guidance and counsel to a dedicated and professional team of personal trust administrators who have responsibility for the oversight and administration of fiduciary and non-fiduciary relationships. In addition to the managerial and leadership responsibilities, Seane manages a book of client accounts and performs trust administration functions by interacting directly with clients and advisors, providing relationship management and working with the assistance of other Trust Administrators. Seane joined PTC in 2017. Previously, she worked for UBS Trust Company, N.A. (“UBSTCNA”) where she was responsible for the management of trusts for high net worth US and foreign individuals. Additionally, Seane focused extensively on risk, compliance and audit approaches when developing, reviewing and implementing policies and procedures which resulted in superior fiduciary service and administration. UBSTCNA was acquired by Reliance Trust Company of Delaware in 2015. Seane earned her undergraduate degree from St. Joseph’s University and holds the Certified Trust and Financial Advisor (“CTFA’) and Accredited Investment Fiduciary (“AIF”) designations. In her spare time Seane enjoys traveling internationally as well as domestically. Thus far, Seane’s favorite destination is Capri, Italy. Her dream destinations include the countries in Northern Europe and the islands of the South Pacific.